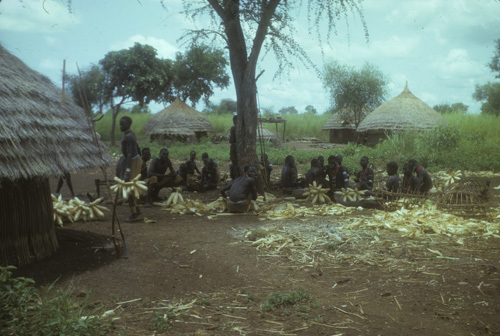 These scenes show the wooded savannah landscape of the Uduk people's home area in the southern Blue Nile in the 1960s. On the left, the people are tying up bundles of newly harvested maize for storage over the coming year. 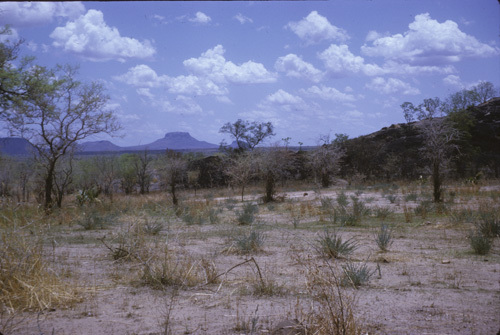 On the right, the view looks southwards to Jebel Bisho, a flat-topped hill remembered as a refuge where their grandparents fled during disturbances of the 1890s - one of the places where they initially fled for safety during the civil war which broke out a century later, displacing everyone from these villages by 1990. 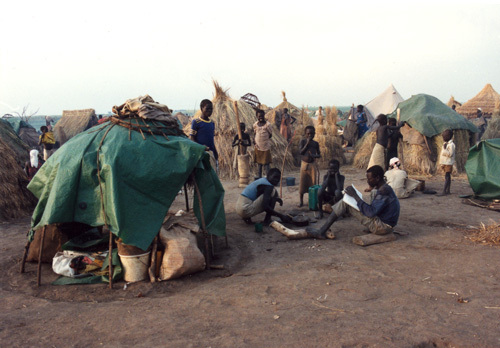 The people were stranded at Nordeng, near Nasir, in the rainy season of 1991. 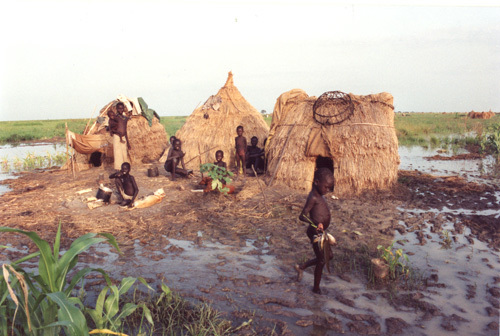 This was in the flat flood plains of the Sobat river, tributary of the White Nile. They sheltered at first under sticks and green plastic sheeting donated by an agency. 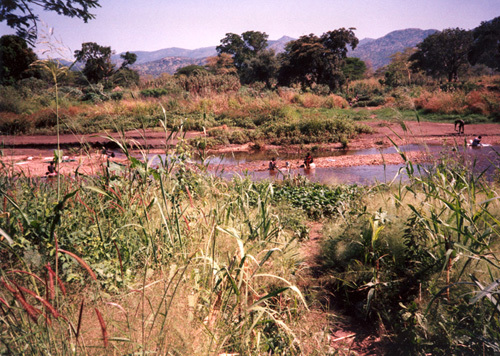 Later they collected enough grass for simple huts, but the rains and floods returned. 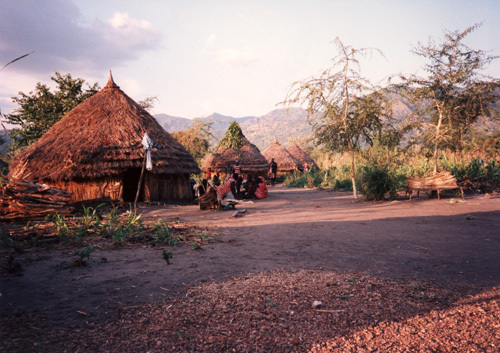 After the political upheavals of the time settled down, they were granted temporary relief in 1993 by the Ethiopian government and the UNHCR in the refugee scheme at Bonga, where a whole generation were to grow up.